On September 4, Colombian President Juan Manuel Santos unveiled more details about the peace talks with the Revolutionary Armed Forces of Colombia, commonly known as FARC. It was the president’s second speech regarding the peace developments within the last two weeks; the first taking place on August 27 when the start of “exploratory talks” with FARC was declared. This renewed peace process represents a monumental shift in the attitude of the Colombian government towards the notorious terrorist group and gives hope to force the end the guerrilla conflict. The FARC has been terrorizing, assassinating, and kidnapping, keeping many Colombians and foreign visitors in fear. In order to maintain its decade-long open conflict with the governmental forces, the guerrilla group has been financing its activities with coca production and distribution. By the best estimates, the number of casualties caused by FARC from 1975 to 2011 is approximately 14,645 people. Additionally, from 2002 to 2010, former President Uribe presided over the worst two years of casualties. The growth of violence during Uribe’s term is largely attributed to his exclusive use of military force in attempts to exterminate the guerrilla groups, rejecting any peaceful negotiations. 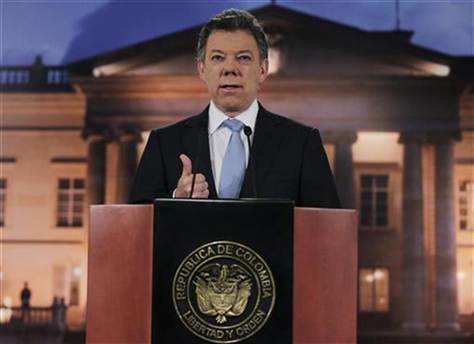 On August 27, Colombia’s current president Santos declared in a televised address that although negotiations will take place, “operations and military presence will be maintained on every centimeter of national territory.” President Santos also stated that, “the process has to lead to an end to the conflict, not to its prolongation,” and “learning of the past mistakes” must be key objectives in these negotiations. Such “past mistakes” included former President Pastrana’s ill-fated peace talks in 1999, in which he granted to FARC an area in southern Colombian as large as Denmark. By the time President Pastrana took office in August 1998, he already had held talks with FARC leader Manuel Marulanda Velez or “Tirofijo”. The peace process continued throughout his presidency, as he had four years until the next elections to achieve success in negotiating with FARC–through which he hoped to attract electoral support. However those peace negotiations failed, contributing in part to Pastrana’s loss to Uribe and his assurance that no future negotiations with FARC were likely to take place. 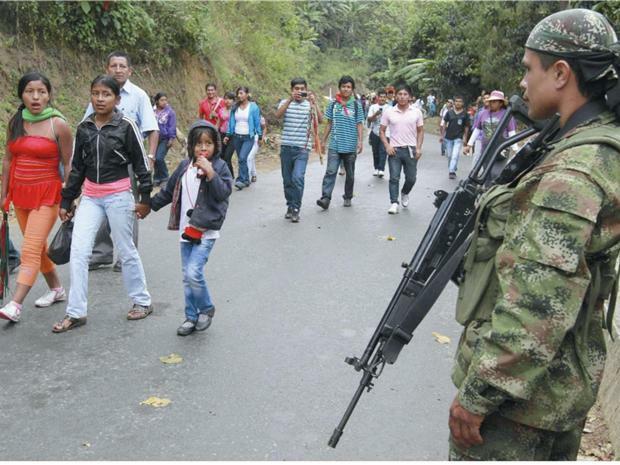 During the following eight years of Uribe’s presidency a strong military response to FARC’s violent actions prevailed. In October 2006, after a FARC car attack close to the Military Academy had left 23 people injured, Uribe declared that all peace negotiations with FARC would be ceased while under his rule. President Uribe’s tactics were similar to then-current Mexican President Calderon’s stubborn tendency to use only force against drug cartels, where he increased the military presence with significant financial and material support from the United States. Nonetheless, important policy change can be seen in Peña Nieto’s victory in Mexico, an oppositional presidential candidate from the Institutional Revolutionary Party, or PRI, with his primary electoral goal of lowering the level of violence, rather than hunting down the leaders of the drug cartels. Now we see Juan Manuel Santos shifting his tactics towards peace talks, rather than increasing his reliance on an enhanced military presence, a strategy he would have followed when he was Colombia’s defense minister. The President’s most recent speech, delivered on September 4 in Bogota, describes three phases of negotiations. The first phase, which has been finished successfully, set out the “rules of the game” through the preliminary meetings. The second phase will take place in Oslo and Havana starting October and will include direct sessions and wide open dialogue between the government and FARC. The last one is the implementation of the agreement itself. 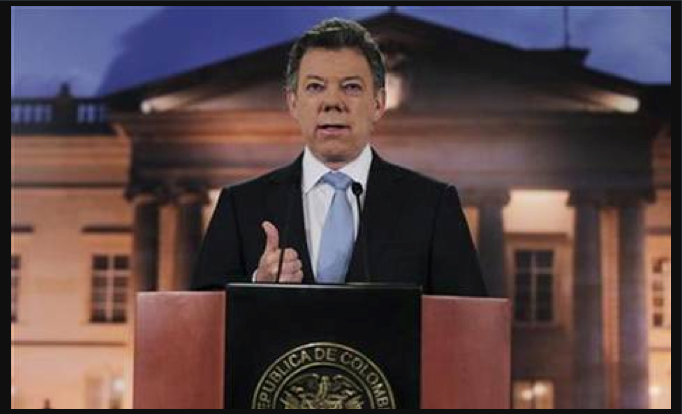 This declaration has shed light on what is usually a secretive process, a sign that Santos’ plan might be different from some of his predecessors, who tried to bring peace to Colombia through negotiations with terrorists. Despite the validity of Santos’ ideas, he must race against the ticking election clock. After his Monday declaration, the results of the peace negotiations will become a defining issue for the upcoming elections in 2014. He has two more years to secure a positive settlement; less time than Pastrana had in 1999. President Santos’s decision to reconcile with FARC is motivated by several factors spanning across Colombian society. These include the will to differentiate himself from Uribe’s “no negotiation” position, the attraction of new voters, the economic hardships of funding a large army to fight guerilla forces, and most importantly, a shift within Colombian society towards a search for democratic solutions rather than violence. Moreover, in a country torn by a decades-long troubled coexistence with the guerrillas’ violent practices, news of a possible peace agreement has received positive feedback from various organizations like Colombians for Peace as well as from the public. As LatinNews reported on August 28, talks between the Colombian government and FARC will take place in Oslo, Norway on October 5 with later negotiations to be held in Cuba.Santos’s strong desire to end the conflict via peaceful means demonstrates a departure from previous policy in relations with guerrilla groups, and the popular support that has since been forthcoming suggests that it is an appropriate time for such negotiations to commence. The next two years will reveal the costs and risks Santos and his government are willing to run.